On March 27th, 2017, a party of three members from Heritage Conservation Centre, National Heritage Board in Singapore visited the TNRICP for the purpose of exchanging opinions on the objectives of lacquer research and inspecting instruments used for the research, with a view to introducing analytical instruments for lacquer and related materials. They were given an explanatory tour by researchers at the Chemistry Laboratory. On March 27th, 2017, two employees from the overseas business promotion department at Toppan Printing Co., Ltd. visited the TNRICP to refer projects in order to contribute overseas heritage conservation. 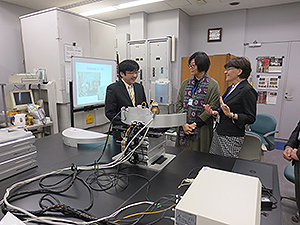 Leading researchers briefed their operations at the Japan Center for International Cooperation in Conservation. Namban lacquer, which is characterized by its unique style, was made upon the request of Portuguese , Spaniards and others who visited Japan in the latter half of the 16th century and thereafter. It was made in Makie(gold powder lacquer technique) workshops in Kyoto and exported to Western countries up until the first half of the 17th century. Namban lacquer came to be known in Japan around the late 1930s. Quite a few pieces have been brought back to Japan from around the 1970s and found their way into museums and galleries all over the country. Recent investigation has revealed that many pieces are still owned by Christian facilities and other places in Spain and Portugal. In recent years, many exhibitions focusing on Namban lacquer have been held both in and outside Japan, and many of you may have actually seen them before. One of the major characteristics of Namban lacquer is its appearance, that is, a Western-style vessel decorated by Japanese traditional Makie and Raden (mother-of-pearl decoration). In addition, based on multiple studies, including art-historical, historiographical, organic chemical, wood antomical, conchological, and radiological studies, of its patterns, materials, and techniques, it has become clear that this object is a characteristic cultural asset strongly reflecting the Age of Commerce by having elements from not only Europe and Japan but also various Asian regions, such as East Asia, Southeast Asia, and South Asia. 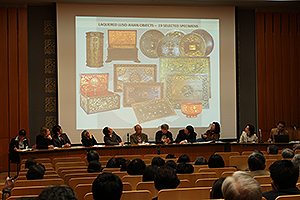 With the aim of specifically confirming these multiple characteristics of Namban lacquer and sharing the recognition, the symposium was held at the Tokyo National Research Institute for Cultural Properties (TNRICP) for 2 days on March 4th and 5th, 2017, where 12 reports were presented by 11 domestic and foreign experts and enthusiastic discussions were held. 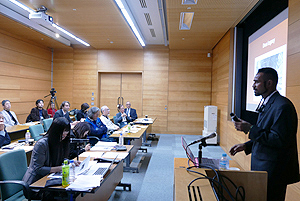 Further, the number of participants in this symposium totaled 25 persons from overseas (Europe, the US, and Asia) and 160 persons from various places in Japan, reflecting a growing interest in Namban lacquer among people in Japan and overseas. 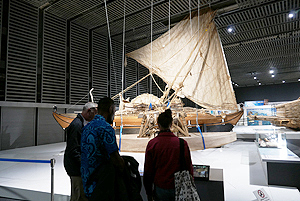 The Workshop on Canoe Culture was held at the Institute on March 22nd, as a part of the activities on “Networking Core Centers for International Cooperation on the Conservation of Cultural Heritage Project in Oceania Island Countries” supported by Agency for Cultural Affairs in FY2016. In this workshop, four experts (Dr. Peter Nuttall, Ms. Alison Newell, Mr. Samual London-Nuttall, Mr. Kaiafa Ledua), who were invited to Japan from the University of the South Pacific, a base institution of the partner country, presented their research reports. They are actively promoting research to explore the possibility of exploiting the traditional techniques for voyage canoes of Oceania in the development of “sustainable transportation” using renewable energy such as wind power. At the same time, they are involved in the restoration of ancient canoes in Fiji and experimental voyage. 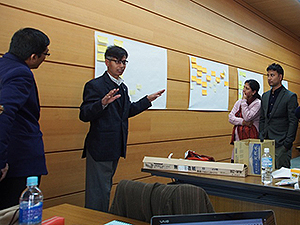 In this workshop, they reported the present status and future prospects of such research and efforts. 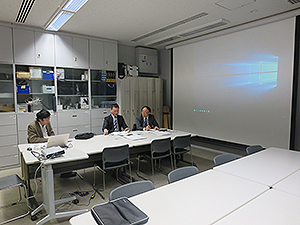 In this workshop, three Japanese experts also made research reports. Prof. Akira GOTO, Director of Anthropological Institute, Nanzan University, gave a talk on Hawaii-style outrigger canoes in Ogasawara Islands. Ms. Kyoko MIYAZAWA, a visiting researcher at Department of Intangible Cultural Heritage, presented the method of visual recording of canoes. Mr. Masahiro UCHIDA, an ocean journalist and a lecturer at Tokyo University of Marine Science and Technology, discussed the rise of the canoe and kayak culture in Japan. At the end of the workshop, a comprehensive discussion among presenters and participants was organized. The workshop has been attended by more than 20 participants mainly consisting of experts and has provided the good opportunity for heated discussions and vivid information exchanges. nonexistent in the area. In addition, in Nago city, they visited the atelier of a group restoring Sabani which is a traditional wooden fishing boat in Okinawa and could exchange valuable information. The culture of driving canoes used to be quite common not only in Oceania but also in the wide region of the Pacific Rim including the Japanese archipelago. After the early modern times, these cultures have disappeared one after another in various places. In recent years, the movement called “canoe renaissance” to restore such culture has been developed in various places. It includes, for example, the canoe restoration in Fiji and the restoration of Sabani in Okinawa. The workshop and the subsequent trip to Okinawa have been quite successful and have demonstrated fruitful results of the collaboration between Oceania and Japan in the reconstruction of such canoe culture. 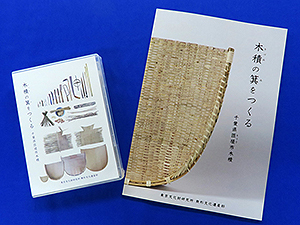 The technique for making wisteria winnowing baskets transmitted in Kizumi, Sosa City, Chiba Prefecture, which we had researched from September 2015, was finally published as reports and visual recording at the end of March, 2017. This program was conducted as part of the Cultural Heritage Disaster Risk Mitigation Network Promotion Project in order to examine what kind of record would work well for the restoration of any technique lost due to disaster or for other reasons. In cooperation with holders of that technique, we recorded a series of processes from the collection and processing of raw materials to winnowing basket weaving as an almost-7-hour-long video, as well as written and illustrated reports. Now we are thinking of verifying the video and reports so as to explore the possibility of making better records for precious techniques. 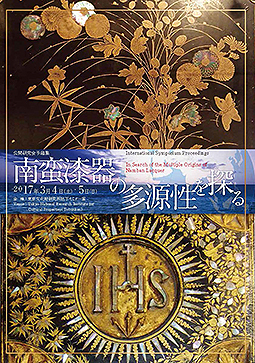 These PDF reports and DVD images are to be uploaded onto the website of the Department of Intangible Cultural Heritage, Tokyo National Research Institute for Cultural Properties around mid-June, 2017. The Islamic Republic of Iran is famous for having the world’s most important cultural heritage sites, including Persepolis, the capital city of the Persian Empire during the Achaemenid Dynasty, and Esfahan, which had been called “half of the world” because of its prosperity. 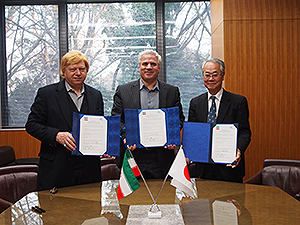 The Tokyo National Research Institute for Cultural Properties (TNRICP) recently extended an invitation to Dr. Mohammad Hassan Talebian (Deputy Director of the Cultural Heritage, Handicrafts and Tourism Organization of Iran) and Dr. Mohammad Beheshti Shirazi (Head of the Research Institute of Cultural Heritage and Tourism of Iran) to hold the “Seminar on Iranian Cultural Heritage” on March 29th, 2017. Together with lectures by Japanese experts, the two guests delivered interesting lectures on the historical and cultural background of Iran as well as the protection of cultural heritage. After the seminar, the TNRICP, the Cultural Heritage, Handicrafts and Tourism Organization, and the Research Institute of Cultural Heritage and Tourism expressed through a letter of intent their desire for a fiveyear cooperation in various academic fields to protect the cultural heritage in Iran. 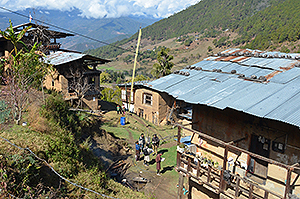 Many historic settlements in Katmandu Valley were damaged by the Nepal Gorkha Earthquake in April 2015 and restoration efforts have continued to this day. In the process, however, the preserving historical value of historic settlements in the process of rehabilitation is inadequate. For example, traditional houses were demolished and replaced by new modern buildings. As a problem that lies in the background, even if people concerned wish to preserve historic settlements, there is no well-developed system to preserve them as cultural assets. Although concerned authorities of the Government of Nepal have made efforts to establish a conservation system, actual conservation practice largely depends on local administrative bodies that have jurisdiction over target settlements and are responsible for the preparation of conservation guidelines. 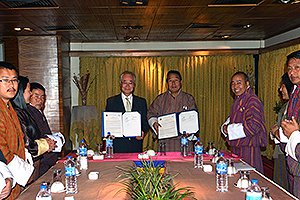 With this in mind, we co-hosted a conference in Nepal at the end of November where we invited concerned parties from six municipalities in Katmandu Valley, which have jurisdiction over the historic districts inscribed on the World Heritage List and the historic settlements inscribed on the World Heritage Tentative List. Our objectives were to share information about the current situation and tasks for preserving these districts and settlements and to convey information on Japan’s conservation system. 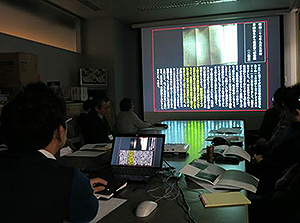 8 Nepalese experts and officers who are locally in charge of the preservation of historic settlements were invited by Tokyo National Research Institute for Cultural Properties from March 4th to 12th, 2017 to attend an on-the-job training regarding the preservation system for historic settlements. All the following visitors played important role at the “Conference on the Preservation of Historic Settlements in Kathmandu Valley” in November. They visited the important preservation districts for groups of historic buildings in Hokuriku Region and Chubu Region, including Kuroshima District in Wajima city and Gokayama Ainokura Settlement in Nanto city. They also received information from local officers and concerned personnel and actively exchanged opinions by referring to their own problems and the current situations of historic settlements and districts under the participants’ jurisdiction. We would like to continue our technological support in hopes that an appropriate preservation system would be developed for the preservation of historic settlements in Nepal under the initiatives of the participants of this training.